I’m not one to ever really need a super intense detox or diet. I try to live a healthy lifestyle all the time, which means tons of vegetables and moderate exercise (I love barre! ), plenty of water, but also daily sweets (I’m addicted!). It’s all about balance, for real. While it’s possible to do it alone, I love finding products that can supplement this lifestyle of mine, and make things a bit easier for me- especially when I’m on-the-go. 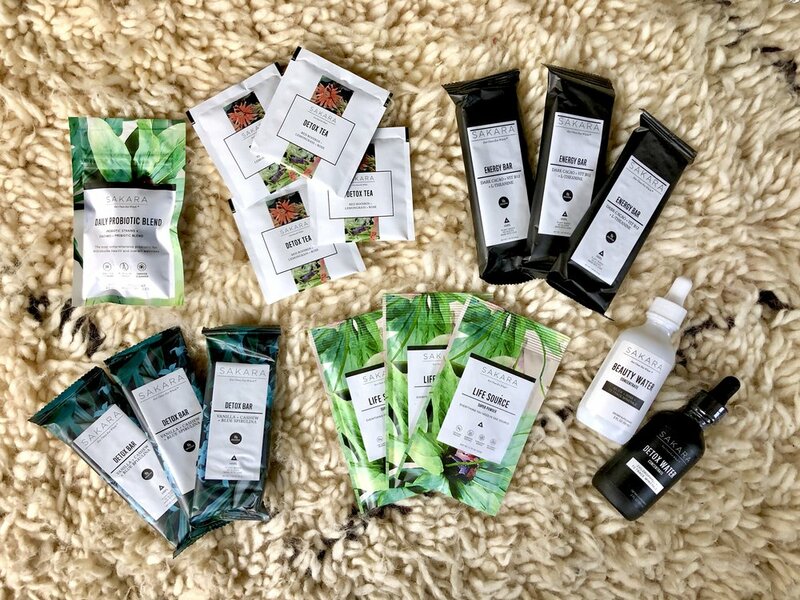 Sakara Life offers 100% plant-based, gluten-free and organic meal plans, snacks and supplements, delivered straight to your doorstep. How easy is that? You can basically think of them as your personal chef and nutritionist rolled into one. 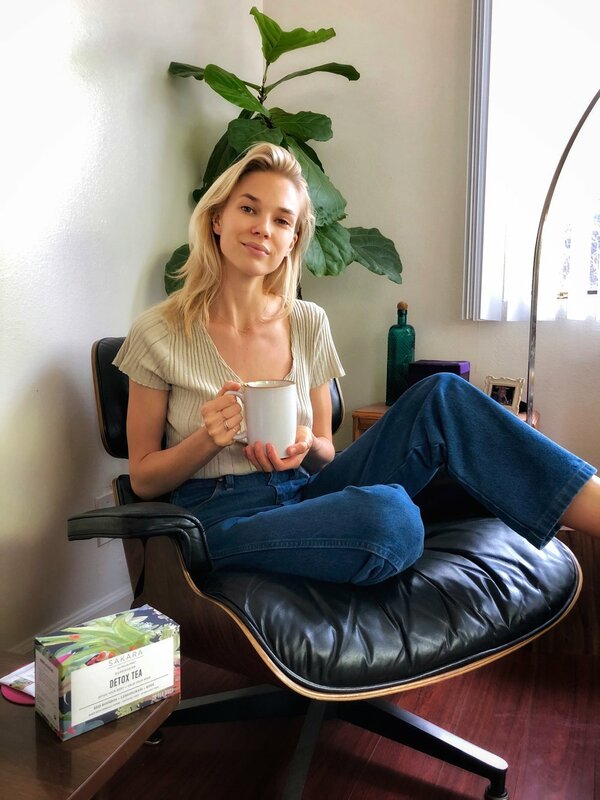 Founders Whitney Tingle and Danielle DuBoise created Sakara to help overcome personal health struggles, and were able to transform their lives using food as medicine. With a focus on nutrient-dense foods, healthy fats, sulfur-rich veggies, and NO calorie counting (among others), they intend to share these nutritional pillars of Sakara with as many people as possible. Although I haven’t tasted their ready-made food just yet (I love cooking for myself too), I have gotten the chance to try their new 10 Day Reset. This box of goodies contains energy & detox bars, a daily probiotic blend, detox tea, beauty & detox water concentrates, and plant-based protein powder! Everything is plant-based, vegan, and gluten free, and packed full of healthy ingredients. These have been ideal for me to keep in my travel bag- I’m never without the nutrients my body needs while on-the-go. They also come in handy for supplementing my daily food at home, or for an extra snack between meals. I love using the Life Source protein powder in my morning smoothie, and the energy bars are the perfect afternoon pick-me-up! If you have trouble getting in your suggested daily glasses of water, sprucing them up with a few drops of beauty or detox water concentrates may help. Your skin will thank you for the extra dose of hydration! Everything in the box stays fresh for quite a while, so I suggest getting a 10 Day Reset for yourself ASAP to keep handy whenever you feel the need for a reset. You’ll get some pretty tasty recipes as well (think garlic tahini kale fritters and pulled butternut squash tacos with all the fixings), so you can actually look forward to detoxing the right way, and soon!